Though there is considerable research to support using Game-Based Learning (GBL) in higher education, its implementation is lagging behind K-12 education by an order of magnitude. By considering the current state of GBL from leadership, primary consumer, academic and technical perspectives, the authors frame the main issues involved with successfully implementing these efforts. These issues involve obtaining the resources required to make mature serious games that are similar in presentation, functionality and effectiveness to the commercial-based products so widely used today, while ensuring that they are imbued with academic content worthy of college curricula. 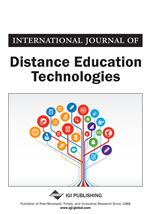 After motivating a compelling case for GBL, despite a number of constraints and difficulties, the authors present two higher education efforts that are designed to augment the core curriculum for undergraduate and graduate level courses associated with the field of Trauma—a field enhanced by virtual efforts due to its challenging subject matter. Today’s economic realities and computer-driven culture are forcing the staid 11th century model of higher education to adapt to 21st century lifestyles and innovations. This has become particularly evident in the last few decades when we look at the progression from classroom media such as overhead and slide projection in the 1960’s, to the multiple interactive technologies and multimedia elements available anytime, anywhere via the Internet today. The progression of technology is transforming the traditional one-dimensional classroom medium into one of many possible dimensions, increasing the need to convey and implement instruction using a mixture of classroom and digital technologies. This presents a challenge to administrators and professors to embrace 21st century technologies more fully, while simultaneously dealing with the financial realities those technologies present. In response to the continually changing instructional technologies, an increasing number of colleges and universities have conducted experiments that run the gamut of operational possibilities. One of the most promising experiments involves embracing the “gamification” of higher education through the use of serious Game-Based Learning (GBL) platforms and technologies (Herz, 2001; Garris, Ahlers, & Driskell, 2002; Prensky, 2003; Tannahill, Tissington, & Senior, 2012). The reasons for GBL are compelling and numerous when one considers the habits of the “digital generation” of learners who dominate our educational institutions today, as well as the tremendous successes—both financially and motivationally—of the video game market and culture. However, despite ample motivation, GBL in higher education has lagged far behind US elementary and secondary education by an order of magnitude (Adkins, 2013; Epper, Derryberry, & Jackson, 2012). Although there are numerous reasons for this disparity, obtaining the resources required to make serious games that are similar in presentation, functionality and quality to the products so widely used today, while ensuring that these games are imbued with academic content worthy of higher education curriculum, is among the most challenging (Eck, 2006; Moreno-Ger, Burgos, Martínez-Ortiz, Sierra, & Fernández-Manjón, 2008; Nadolski, Hummel, Van Den Brink, Hoefakker, Slootmaker, Kurvers, & Storm, 2008; Chen, Chen, & Liu, 2010). In this paper we advocate for expanded use of GBL in higher education by briefly reviewing the state of digital instruction in our institutions, and then profiling its current main consumers—students of the digital generation. GBL is then discussed within the context of the natural digital proclivities of its main users, as well as the possibilities afforded by today’s technologies. We then present two higher education efforts, both from an educational and technical perspective, that are designed to augment the core curriculum for undergraduate and graduate level courses associated with the field of Trauma—a field enhanced by virtual efforts due to its challenging subject matter, and yet also challenging when coupled with GBL. By considering GBL from multiple perspectives and effectively utilizing it with challenging subject matter, a compelling case emerges for its more widespread inclusion in higher education. We believe that affordable, state of the art development tools that integrate gaming into academic curricula will greatly benefit students in higher education.